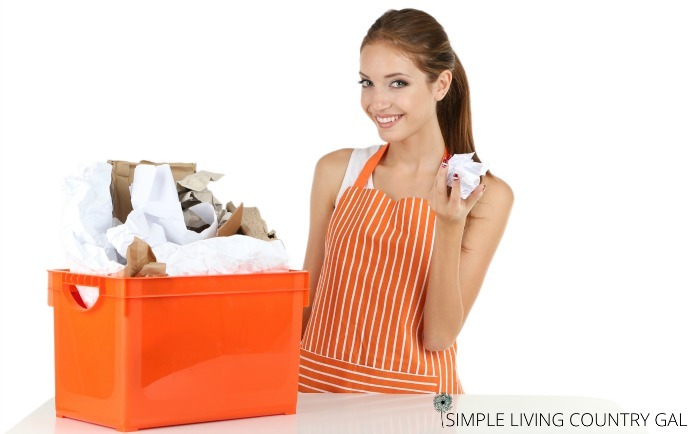 When it comes to clutter, cleaning out an entire home can be a pretty daunting task. That is why I teach decluttering in bite-sized pieces such as tackling a drawer here or a cabinet there. Today we are going to up this just a bit and learn how to declutter the family room all in one shot. This post is just for the very motivated person. Someone who wants to rip that band-aid off so to speak. To get in there and just get it done. If that sounds like you, then you are in the right place. It this sounds like way too much to do in one sitting, then please stop reading and head over to my other post that is right up your alley. For the rest of you, let’s dive right in. It’s where you hang out…chill…kick your shoes off and relax. You watch movies, build tents with your kids, eat popcorn and laugh. It’s the family room. A place for, well, families to hand out and de-stress after a long hard day. Walk into your family room right now and tell me what you see? Do you see toys on the floor? Socks piled on the end of the couch? Glasses, bowls, and cups on the coffee table? Books and magazines scattered on the end tables? Are there shoes lying everywhere mysteriously without the other match? Well, if so, don’t be upset. That is how most family rooms look and it actually makes sense. That is our rest and relax room. The place where we peel off the layers of another hectic day and just let loose. The problem is when we let that clutter stay where it is each day and just add another layer when we come in. As the days continue the piles grow and before you know it this room is just so chalked full of clutter that we start to stay out of it and instead retreat to our bedrooms to relax. Each to your own bedrooms, separately and not together as you once did. That is when you know deep in your heart that you need to do something and quick. 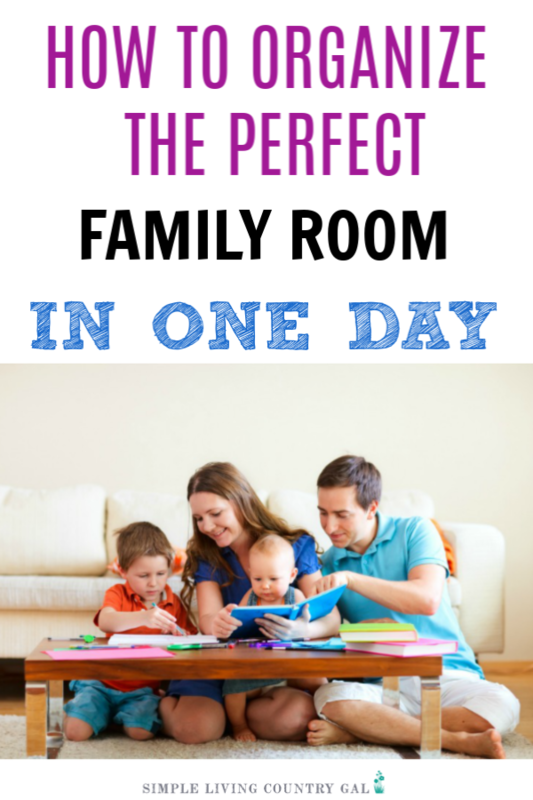 You need to learn how to declutter the family room so you can be, well, a family again. Step #1 – Tackle the easiest things first. I always like to have my clients remove whatever is the easiest. This is a great way to get your motivation going so you can keep removing the excess without giving up and walking away. And the easiest most possible clutter to remove is the trash. Grab yourself a bag or a bin and just talk a walk around the room. Pick up any papers, tissues, empty chip bags, magazines, napkins, or any paper plates that you see. If it’s trash, grab it. No second thoughts. Just pick it up and toss it. This is meant to be easy so don’t overthink it. When you are done, tie up the bags and take them all out to the trash can. Step #2 – Gather up the recyclables. Repeat what you did in step one only this time gather up all the cans, newspapers, glass and plastic bottles. Make sure to sort and dispose of them as your community instructs. Step #3 – Get the dishes. Again, this is another super easy step meant to ease you into decluttering. I like to use a wash tub like this one. They are super easy to carry, hold more than enough, and keep any spills from glasses and bowls contained much easier. Just walk around gathering up all the dishes you can find that do not belong in this room. When you are done, take the tub right to the kitchen to deal with later. Step #4 – Now for the clothes. Funny how our family’s clothing ends up all over the house but never in the hamper where you would like it. No worries, we can work on that later. Today we are just getting things done. Get yourself a clothes basket and get back to walking your room. Gather up any clothing, blankets, pillows, even the shoes as you go. Get it all picked up and out of there. When you are done, take this basket to the mudroom first to drop off the shoes then off to the bedrooms to deliver the pillows and finally to the laundry room to wash what’s left. Step #5 – Get the paper clutter. Grab a tub, basket or tote and pick up any papers you find. Don’t think, just do. Get it all out of there and contained in one area. Don’t worry about mixing bills in with junk. You hopefully removed most if not all of the junk papers when you did steps 1 and 2. Once you have it all in your bin, I want you to set a date and time that you will go through all the papers. Pick a day that you have little going on so you can focus on what you are doing. Take a minute to toss into your bin of papers a tablet, Post It Notes, pen, and highlighter. Go one step further and set a reminder on your phone right now so you do not forget. Not sure how to handle the papers you just gathered up? Then take a minute to read a couple of my posts that will help you sort through all of those papers without too much stress. Step #6 – Anything that has a home. I like to use a strong sturdy laundry basket for this next step because it is easier to hold random sized items and quite a few of them. As you look into your room I am sure you can see quite a few things that have designated areas. These are all things that you probably have a spot where you like to keep them. Grab what you can fit into your basket and take your load to the kitchen to deal with in a bit. Repeat this process with additional baskets until you have gathered up all the things that belong somewhere else. Congratulations on completing steps 1-6!! Those steps served two purposes and because of that Step number seven is going to be quite a bit easier for you to accomplish. It’s decision-making time and if you are ready….let’s do this! Step #7 – Let’s deal with the rest. Now, all the things that you have left in your room are the things that require decisions. And our goal is to start easy and work our way to the more tricky things. Grab yourself a box or black trash bag. Ninja tip: Make sure to always use a black trash bag when removing clutter. This way you will not be able to see what exactly is in the bag and remove the temptation to grab things back out. Once it is in the bag it is off limits! Start to the right of the door or entryway and work your way clockwise around the room. Pick up anything you can easily declutter, meaning you don’t love it, use it, or need it, and put it into your box or bag. Keep going around the room looking at as many things as you can until your box or bag is completely filled up. Repeat this process until you have removed most if not all of the clutter in your room. What if I am not sure it’s clutter? Then for now just leave it. We are only focusing on simple clutter. Things you can easily let go of without too much stress. Step #8 – Pick a purpose. Next, we are going to switch gears just a bit and decide on the purpose of your room. Is it a movie room? A game room? A reading room? Will you allow toys in here? Do puzzles? Allow eating? Make a list of all the activities that will happen in this room. As you do, glance around and decide what will take place where. If you want to have a puzzle area, for example, set up a table and chairs in one of the corners. Strickly want your room to be for movies? Then you may want an area to hold plenty of pillows and blankets. Once you know just exactly what will happen in your room, then the remaining items that are left in your room will be much easier to sort through. Now that you know the purpose of your room, grab another box or bag and let’s take one last walk. Any item you see that does not serve the purpose of the room you just set up in step #8 MUST GO. You can either toss it, donate it, or put it in another room where it will be used. ONLY THE ITEMS THAT SERVE THE PURPOSE OF THE ROOM CAN REMAIN IN THE ROOM. This is a rule that if never broken will single-handedly keep all clutter out of this room. Ohhhh, that just gave me chills!! Talk about a game changer!! Step #10 – Set it up! Now that the clutter is all gone and the purpose has been decided, let’s set your room up! For each activity you hope to do in this room you will want a designated area. Once you have decided on an area you will then want to set things up a bit more to make it easier for your family to follow the rule we made in step # 9. A game area – Totes for games, pillows to sit on, coffee table to play at. Movie area- A bin to hold extra blankets and pillows. An organize to hold all of your DVD’s. A bin to hold the remotes. Play area (for small children so mom and dad can relax) – A bin for toys that any aged children can easily use. Reading area – A small table, bookshelf, and strong lamp by a comfy chair. Sturdy Laundry Basket – Perfect for gathering up items that don’t belong for easy delivery to where they belong. Plastic Tote – Perfect for holding paperwork so you can easily go through things each weekend. Wash Tub – I love these and have several. They are perfect for gathering up dishes that have found their way into other areas of your home. No worries about spills with one of these plastic tubs. Play Table – Legos were a daily part of our lives and there is nothing more painful than stepping on one! This table doubles as a play space and lego storage! Storage Ottoman – This ottoman doubles as furniture and storage all in one. Perfect if you are short on space. DVD Storage – Tired off 100 DVD cases scattered around the room? Why not think outside of the box. 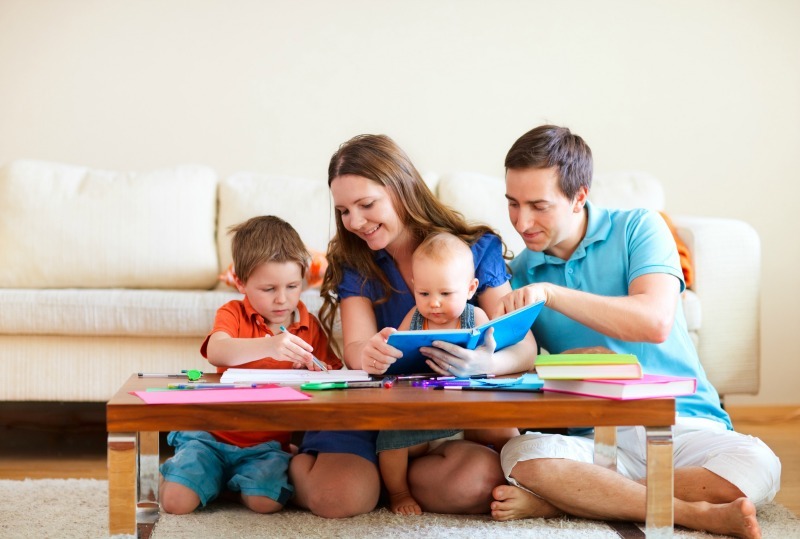 Once you have each area set up and organized it might be a good time to hold a family meeting. I liked to give actual tours of my newly decluttered rooms explaining what is allowed and what is not. You might just be surprised at how receptive your family will be when they see their newly organized space. 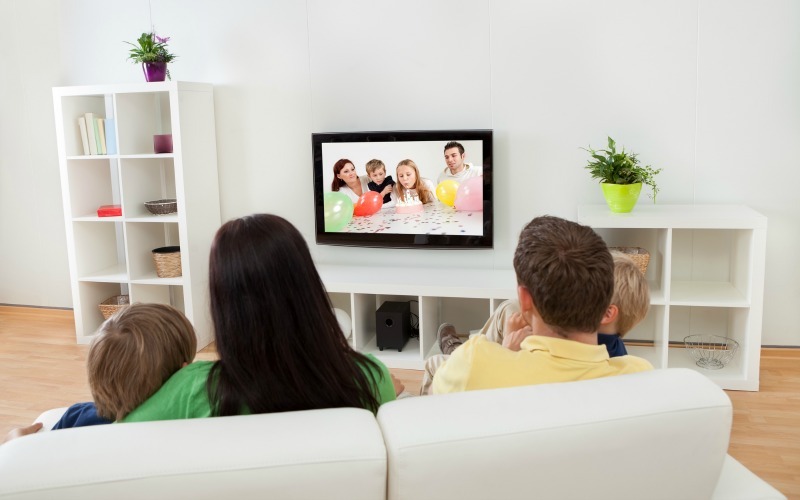 Have you tried these tips on how to declutter your family room and found them successful? Share in the comments below!